This post tells the story of what happened during a trip, it was a close call. Please read and learn from our experience. This could be the most useful post that I have even written. Vindelfjällens is a nature reserve in Lapland in northern Sweden, it has some of the most beautiful landscape that you can find in Sweden. I was even surprised to find some mountains in the area. In the last year the packrafting scene has grown in Sweden and in Scandinavia in general. We had our second roundup this year and connections between people have been made. It’s not only a virtual community on social media anymore, people actually know each other by now and drink beers together. They also go on trips together, and that is the most awesome thing that could happen. From a social point of view it’s always amazing to meet people who share the same interests -packrafting, nature and exploration- and from a safety point of view, the more we are in a group, the safest it is. A couple of months ago, Peter Tjärnlund started to plan some trips for his summer and he invited people to join him on his trips. In June he went to Sjaunja with Caj and Katja Koskinen, but he also planned another trip to Hemavan and Vindelfjällens and I was invited so I joined. Here is the story of what happened. On the trip were Peter and his son, Carl, Johan, Patrick, Caj, Katja and me. Hemavan is a small town (or a big village) in Northern Sweden. It is known for two things although I never heard of this place before the trip: 1) It is one of the end of the most famous thru hike in Sweden, the King’s Trail (Kungsleden) and 2) it is a world class fishing area (more on that later). Apart from that and the local liquor store, no particular interest. The plan was to meet the team in Hemavan. It seems that we used all the possible ways to travel: cars, trains or planes. We sat at the buffet in the shopping center and waited for everyone- eight people in total. It was easy to spot each other since Alpackaraft’s truckers hats are really recognizable. After too much food we drove to the start of the hike. We parked the cars on a forest trail and started walking and bushwhacking. I still wonder if the buffet was a brilliant idea, I was feeling like napping and was so full that tightening my belt from my backpack was kind of painful. Right away we stepped in a marsh, damp socks for the rest of the day. We walked through birch forests and bogs for a long time then we reached a plateau that was as damp as the previous terrain. It was really fun to see everyone’s packing habits. Some of us were carrying really bulky and heavy loads (the Finns), some of us were sort of lightweight (pretty hard when on a multi-day packrafting trip) and we even had a Christmas tree with us (probably the most fun looking and unorthodox packing style). By six in the evening we set camp on a wind exposed hill next to a river. The Norwegian mountains in the background were absolutely stunning and the introduction to the Laplands vilain (mosquitoes) was straight forward. It must be the oldest love-hate story of all the times: we hate them, they love us; they’re even ready to die for us. We were tired and I was cold. I slept around the clock and felt quite satisfied when I woke up. The second day consisted of hiking and bush-whacking again most of the day. I was surprisingly hot so the bogs and the many river crossings were actually pretty refreshing. We hiked along and literally in a beautiful river with a couple of waterfalls. In the afternoon we eventually reached our goal in the shape of the small lake Nedre Ältsvattnet that has an amazing crystal clear water. We inflated our boats and started paddling. Luckily mosquitoes can’t bite through drysuits. Paddling on lakes can be very boring and unpleasant. It’s not the kind of packrafting that I really enjoy. This trip changed my mind. I actually loved the paddling on flat water, thanks to the lovely conditions we had for these parts (otherwise I still don’t like it). No wind, sun and very very flat water, it was like cruising on a mirror except you don’t see your crappy face but instead get a double portion of the amazing surrounding landscapes. My brain had sometimes issues to process the view, at times I felt like I was upside down since the reflection on the lake was so clear. Or maybe I was dehydrated and totally tripping. We spotted some massive eagles. These guys are really impressive and even from a distance they look huge. After the first lake we hit the first river called Ältsån. It is a small river with easy rapids up to class 2+. We camped on its shores, had diner with our mosquito friends and tried to sleep the best we could. The next day we finished the river and started to paddle the next lake, a long, very long lake. Once again we were lucky and had the most perfect conditions on the lake. We stopped at a beach that looked more like Thailand than Lapland (except maybe for the water temperature and the fact that no Pina Colada was served when we arrived). We swam and pitched our tents. The only footprints we found were from reindeer. Sleeping next to this lake was great but also really cold, we were probably in the freezing range. It was worth it anyway. Paddling the rest of the lake took us about 5 hours the next day. We were happy to be done with the lake even though it was beautiful. We were finally on Tärnaån, our last river with 26 km to our final destination. It was almost 2 in the afternoon when we started Tärnaån and we needed to stop to eat something. The shores of the river are really lush and usually don’t offer a lot of options for a nice backcountry lunch break. We spotted a cabin next to the river and hoped for a buffet and some cold brews even though it would have been very unlikely to find that in the middle of nowhere. A nice guy welcomed us and told us we could stay for our lunch break. When I asked him if he was living there, he answered “Oh no, I’m just the housekeeper, see, you are at the King’s cabin!”. Yes, the King of Sweden. Sweden has a king, as weird as it sounds it’s true. And that king has a summer cabin in Lapland, we just found it by chance. I was wondering if the King paddles a packraft to get to his cabin and what kind of packraft a king would have but the housekeeper told us his Majesty is actually dropped off by royal helicopter. Disappointing. Down the river we found some nice class 3 rapids that I loved to run then we set camp. We woke up on our last day on the river with two bad news: Carl was very sick from food poisoning and was barely able to get out of his tent and the weather was turning bad and some heavy rain was coming. Carl took the decision to hike out following the shore whilst we were carrying most of his gear. We started the day with the same last rapid I had run the previous day, I wanted to give it a cleaner run. It was awesome. Then we started the final descent. we still had about 15km of unknown waters to paddle. We passed some more big rapids, our team was efficient and secure. At some point Peter capsized. Johan and I rushed to him but he was able to self-rescue himself before we could get to him. Ashore, and confident that the proper safety conditions were matched, I started scouting the following part of the river since we noticed there was a canyon ahead, it looked big and insecure. As I was on higher ground over the river, heading toward that canyon, I looked back and saw Caj out of his boat, swimming, throw ropes missing him. I used my whistle and shouted ” EDDY EDDY EDDY!” pointing at the last eddy on the other side of the river right before the big stuff to start. Luckily Caj saw me and heard me (I think all wildlife heard me kilometers away) and was able to aggressively swim to the eddy with his paddle. He was safe. His boat was gone though. I kept on walking along the shore to try to spot the boat and see what was ahead of us. When I saw what was actually just 50m downstream I realized how close a call it was. It was a huge rocky and powerful waterfall. It was the first waterfall we saw on this river and it could have been a drama. The boat was stuck down the waterfall and would not go away. The backpack that was tied on top of the raft was gone. Everybody gathered at the waterfall, Caj on the other shore. We had to get the boat back. We set up a belay, using a throw rope I was tied to and I down climbed on the side of the waterfall then I jumped to retrieve the boat. I didn’t expect the current to be so powerful. Now I know what it feels to be an underwear in a washing machine. The team was able to pull me out of the water and I climbed up the waterfall with the boat. We deflated our boats, packed our gear and started to hike down the river under a pouring rain, Caj was doing the same on his side. At some point we met Caj who found a bridge to cross the river and found his backpack upstream. I helped him to get his backpack back from the rock that it got stuck in. We were safe, no gear was lost and we had learned a lot (see below).We hiked out, got picked up by Carl who had stopped throwing up his poisoned food and made it to a cabin we had rented for the night. Then we had a couple of beers to celebrate. Then the next day I was able to run Syterbäcken, and I couldn’t be happier! During this trip we talked a lot about safety. We set up river strategies to be safe and efficient. We had evening talks at camps about these issues. It was great and it was the way to go. Despite this, we’ve been very close to an accident. Everything ended well so it could be easy to congratulate ourselves and move on. Instead of that, there are a lot of questions we should ask ourselves. Could we have avoid that swim and what happened after? What could have been better? What did we learn from that experience? I don’t blame anyone, what happened was nobody’s fault, really. What happened maybe had to happen in order to raise consciousness in the group, and that totally includes me as well and I don’t claim to be better than anyone. I just hope that what follows could help people in the future. We decided to go as a group for easy rapids and to paddle eddy to eddy so at all time more than one paddler is watching the others (first paddler goes into an eddy, then waits for the last paddler to pass him). We rehearsed all the communications signs and actually used them. We watched each other and were very reactive. We stopped and scouted everything that looked big. Nobody paddled any rapids above their skills. The rapid that made two boaters swim had been scouted and a line was established. The fact that this line was not followed by everyone led to the two swims. We should stick to the line established by the leader. The group was not trained enough in throwing ropes. This is something general in packrafting, no training. We need to do more swift water safety sessions, just like kayakers do. We just had two throw ropes altogether, one was lost during Caj’s swim in a rescue attempt. Everyone needs to carry a high quality throw rope on us, not clipped to our boats. We had all our belonging in our packs or boats. If the backpack was lost, so was Caj’s car key – how to get home? We should always have our ID, credit cards and keys next to us, under the drysuit. To retrieve the boat in the waterfall I was the only one to have the skills to built an anchor, tie knots, set up safety. We had no gear such as carabiners (I only had one), slings or pulleys. Everyone in the group should carry safety gear and have the skills to use it because what would happen if the only person with these particular skills is the one to be rescued? After the incident, our group split up and we weren’t sure who was doing what. We should stay calm, make plans together and keep everyone informed of what’s going on. Everyone needs a whistle attached to the PFD. Using high quality gear is also mandatory. The two throw ropes we had were lightweight ropes made especially for packrafting (not the one from HMG) and did not belong to me. I was not happy with them and don’t recommend them. I realized afterwards that these ropes have some exclusions of use and should not be used like regular throw ropes. I didn’t know it when I used them. My advise is to go for a real, reliable kayak throw rope because packrafters deserve the same safety standards as kayakers. Actually we deserve even more: we paddle some very remote rivers where it could be difficult if not impossible to call for rescue. Reading the specs from the Hyperlite Mountain Gear throw rope, I would confidently use it even with such a price tag. I also really regretted not to have an integrated harness on my PFD, that would have been way better for the boat recovery. 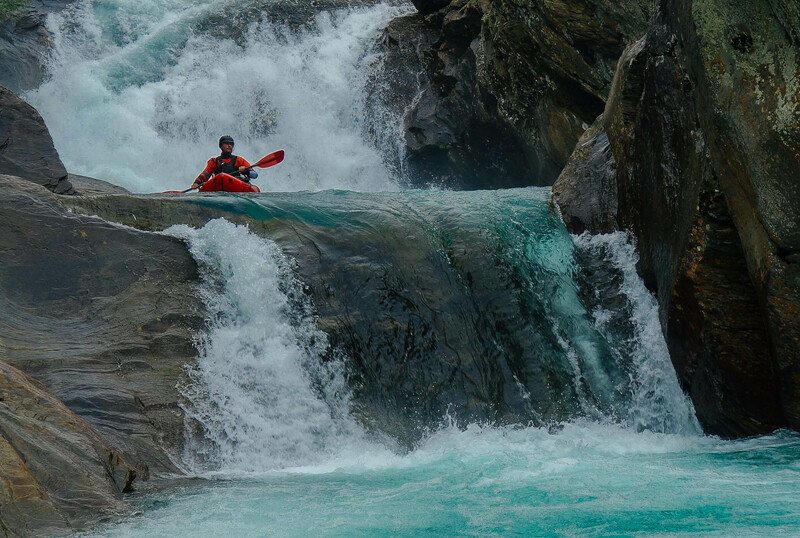 I know that 90% of packrafters don’t have any background in white water, that most of them feel confident that they will never capsize and that safety on the river is none of their concern. Most packrafters rush down the river, don’t stop at eddies and don’t care about their fellow paddlers. That is completely wrong and could lead to catastrophic events. Educate yourself, learn, take courses, paddle as groups, talk safety, don’t go by yourself. Because you never know what’s around the corner. A huge thanks to Peter and everyone who was on the trip. I loved every second of it! Thanks to Patrick Dormischian from Hike Ventures for the pictures I appear on. GREAT write up Jeremie – thanks for sharing your thoughts on your trip, pros/cons of how safety went, and what you guys think you might do differently next time. I’m really excited to hear you guys are actively practicing hand signals and a ‘safety plan’ on the water. AND – so glad that you guys all returned safe from this adventure. Beautiful pictures too! Thank you Sarah! It was a great trip indeed and we all learned a lot. Hand signals and safety plans are still not the norm here but we’re actively working on it! Another good source of information is Roman Dial’s book: Packrafting! Thank you, I agree, Roman Dial’s book is indeed a reference! Thanks for the awesome trip reports with great illustrations and photos. Recently found your blog and enjoying it a lot! Your focus on safety is spot on. I must get on another course soon. Is that an Alpackalypse you paddled on this trip? I have a yak with thigh straps, but I’m seriously considering a Gnarwhal or Alpackalypse. Yes, I hope to also make the Scottish roundup next year. Hope to catch you there. I’m keen to meet some fellow packrafters. 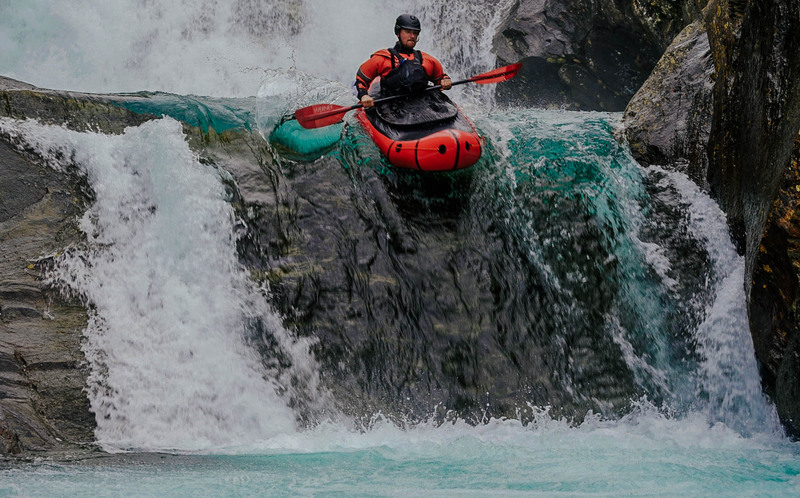 Regards the lypse – As I’ve done some hardshell kayaking previously it probably makes sense to have that extra playfulness. I was just a little concerned about the extra weight/accessories, but with the 2017 version I’m guessing they have ironed out these flaws? It totally makes sense for you to opt for an Alpackalypse indeed. It’s a bit heavier and bulkier than a Yak but I got used to it and even on this trip in Lapland where I had to carry it on the hike, I had one of the lightest packs in the group. Apart from the back band which is different, the Lypse has the exact same accessories as the Gnarwal. All accessories stay in the boat, there is not hard parts like on the 2014 version (I’m referring to the thigh straps here). I’m sold 😉! Thanks very much for you help and advice. Great article Jeremie! Unfortunately I only just discovered it (apologies for my lateness). Really great to see other packrafters pushing the safety message. Thanks for your comment, Mark and thanks a lot for the link! I have some cool projects to promote safety in packrafting, I’ll send you an email about that, if you want to be part of it! Cheers! Yes please, sounds good. Sincere apologies for the delay on replying. Life has been busy. Mark, your articles are awesome, great job! !